If you put all three of my kids together, they make one absolutely perfect eater. I have one that loves fruit and vegetables. One that loves fish. And one that loves all things dairy. Unfortunately, when you don’t put them all together and act like they’re one person (which is weird – who would do that?) each of my three kids has excluded an entire food group. Let’s start with the oldest, shall we? Miles loves to try new things. He’s a huge fan of seafood and often begs for salmon or fish tacos. He likes hot sauce on just about anything and will be the first in line to try a new recipe that his dad is testing out. But you know what he won’t eat? Fruit. That’s right, Miles won’t eat a bite of fruit. At all. Ever. Alice LOVES all fruit and all vegetables. Her idea of the perfect snack is raw carrots, cut up peppers, cherry tomatoes and a side of fresh fruit. She doesn’t like to dip her fruit or her veggies in anything, and she doesn’t particularly want them cooked. She just loves to eat fruit and veggies. Which means she also LOVES salad. But you know what she won’t eat? Milk. Or Meat. Or Fish. That’s right. No dairy, meat or fish for this girl. NONE. Where do we even start with this kid? 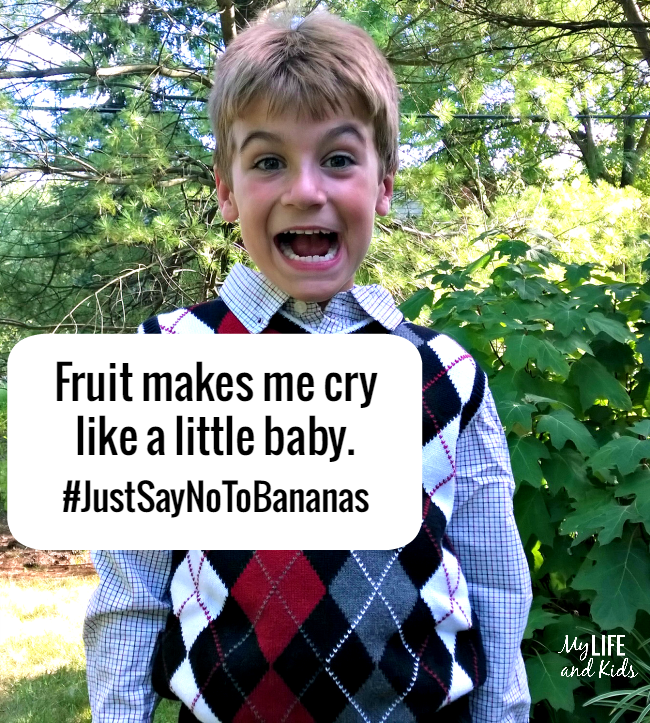 Simon loves bananas and most other fruit. And he eats meat like a rockstar. He also enjoys yogurt and sandwiches and after two years of trying, he finally likes eggs. But this kid hasn’t eaten a vegetable in at least two years. NO LIE. Every night at dinner, the veggies are on his plate. We play airplane. We call them trees and mountains. We dip them in ketchup. But he’s much smarter than that. NO VEGGIES! For a long time, I tried sneaking fruit into Mile’s everyday food and tried convincing Alice that the chicken was really a new kind of vegetable that she hadn’t tried yet. I tried making Simon spinach smoothies and force-feeding him zucchini bread, but it didn’t really work. In fact, it just made all of us a little crazy and a little overly concerned with what we were eating – which wasn’t what I was trying to do at all. I just wanted everyone to be balanced and healthy! Is that so wrong? At my next pediatrician’s appointment, I finally came clean and confessed the sins of my picky eaters. 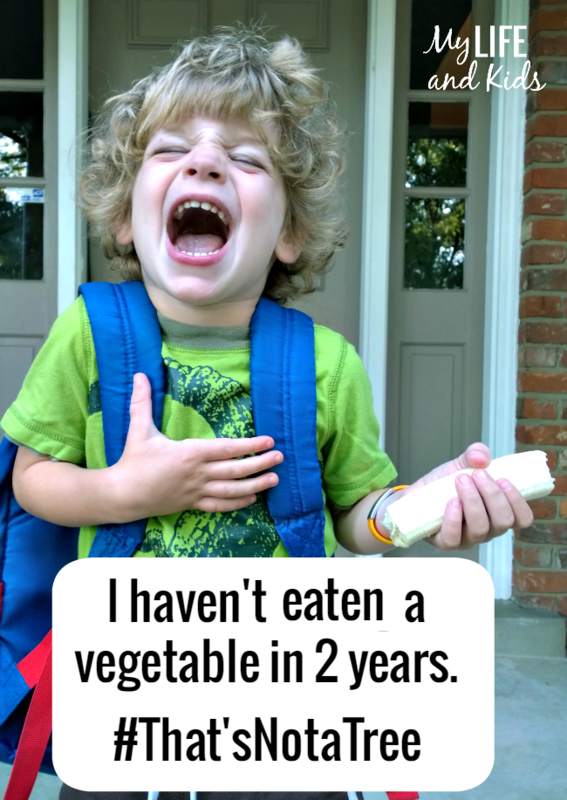 I nearly cried when I told her my baby hadn’t eaten a single vegetable in two years. Clearly – with my kids cutting out entire food groups – all three of them were lacking when it came to vitamins and minerals. So we started giving the kids a multivitamin every day. They love the tasty chewables, and I love not having to worry quite so much about whether my daughter will ever take a bite of fish and whether Simon will ever believe me that his broccoli is in fact a tree. And I don’t have to chase Miles around the house begging him to eat a banana. We still offer new foods. We still attempt to eat well, and I will continue to put vegetables on Simon’s plate every single night at dinner. But until we get to a point that everyone is eating everything they should be eating, we’re sticking with our vitamins to make sure everyone gets the nutrients they need to be healthy. Consuming a diet rich in lean protein, dairy, fruits, grains, nuts, seeds and vegetables is the best first step for insuring that you obtain your optimal daily amounts of vitamins and minerals. There are 13 vitamins and minerals that we all need, including: Vitamin A, D, E, K, B-1, B-6, B-9, B-12, C, Calcium, Magnesium, Iron and Zinc. If your kids aren’t able to reach their optimal daily amounts of vitamins and minerals through food alone, talk to your doctor about supplementing with vitamins. Vitamins and supplements are not regulated in the same manner as drugs by the Food and Drug Administration (FDA), but that’s no reason to be scared. Independent reviews of quality and safety can be found by several trusted organizations. Visit OTCSafety.org for everything you could ever want to know about vitamins and mineral supplements – and how to find trusted brands. And for more expert health advice, be sure to follow CHPA on Pinterest. Visit Consumer Healthcare Products Association’s profile on Pinterest. 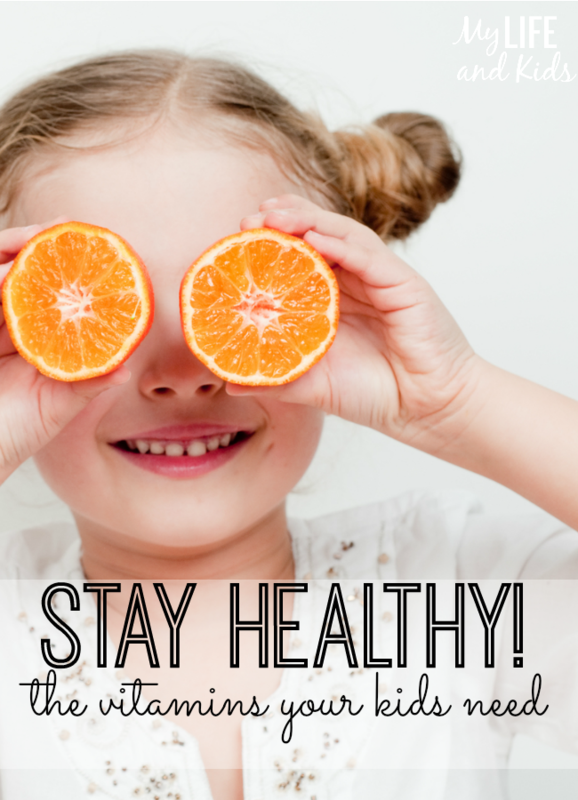 Repin this infographic and this post to help spread the word about keeping our kids healthy. As an OTC Safety ambassador, this is a sponsored post. All opinions are my own.